What a fun deal for the family! 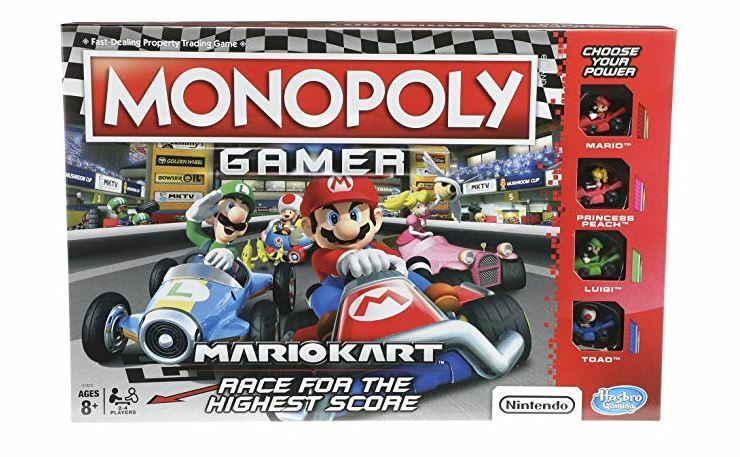 Get this Monopoly Gamer Mario Kart Game on sale for $13.13 (Retail $24.99). This is the best price we’ve seen! This sequel to the Monopoly Gamer board game joins forces with Nintendo Mario Kart characters and elements. Winning in this game is all about winning races! Players choose their Nintendo Mario Kart character token and move around the Mario Kart themed gameboard, competing to win races and end up with the highest score to win.